State Capture Inquiry continues on Wednesday - SABC News - Breaking news, special reports, world, business, sport coverage of all South African current events. Africa's news leader. Former Denel Board chair, Martie Janse van Rensburg told the commission that her task team left the corporation with enough liquidity. The Commission of Inquiry into State Capture will resume on Wednesday morning in Johannesburg and is expected to hear testimony from former Group CEO of Denel, Riaz Saloojee. On Tuesday, the commission heard evidence from former chairperson Martie Janse van Ransburg regarding Denel and its links with the Guptas through a company called VR Laser. 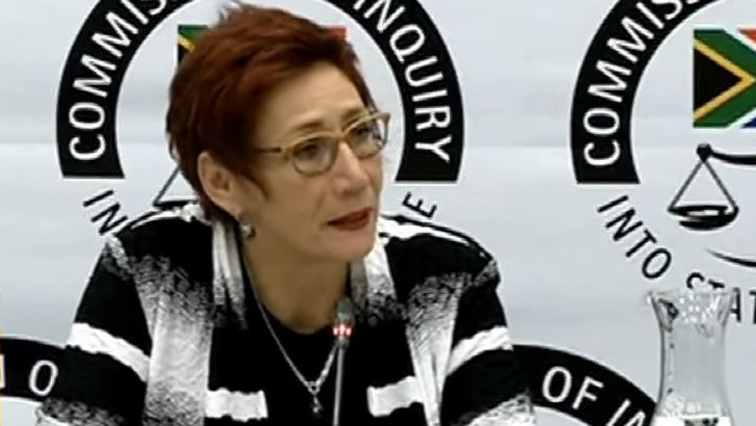 Van Rensburg told the commission that her task team left the corporation with enough liquidity and they had achieved almost all of their Key Performance Indicator target. She says Denel had R1.9 billion in cash in 2015 and various banks were knocking at their doors. She explained that she did not understand why the minister would replace the Board with one that had very little set of skills given the magnitude and importance of the organisation. The commission also heard how a former shareholder of VR Leser Benny Jiyane kicked out and systematically pushed off his own company which he had helped to create. This entry was posted on 20 Mar 2019,07:36AM at 7:36 AM and is filed under Business, Homepage Latest Stories Slider, Homepage Featured Story Slider. You can follow any responses to this entry through the RSS 2.0 feed. Both comments and pings are currently closed.